Millennials currently make up the largest consumer group according to recent national statistics. Thankfully, real estate purchases are on the horizon for many of them, although there are obstacles to be overcome. Large numbers are graduating from college with high student loan payments, low employment prospects and they are too independent to easily move back in to the parental family home. Tight inventories of affordable homes to buy present an obstacle on one side. Skyrocketing rental costs are hemming them in on another side. The real estate industry will need to find and present the happy medium that makes home ownership the most attractive option for this tech savvy generation. In the meantime, what alternatives are available to resolve the immediate housing needs short of roommates or roommates you call Mom and Dad? One possible temporary solution might be found in a Tiny House. A Tiny House refers to a structure of 400 square feet or less that has all the amenities and less of the costs of traditional single family housing. While the first exposure to a Tiny House may put you in mind of a backyard playhouse, these Tiny Houses do the hard work of full sized homes. A Tiny House isn’t simply a miniature version of a traditional home. Neither are they an RV with a traditional house façade, though some of them are built on mobile platforms. They are an uncommon and quite interesting living experience that lend themselves beautifully to the personality of the souls that occupy them. Alas, as Tiny Houses are not yet marketed like traditional homes the 287 detached houses that sold and closed this past month in Boulder County were all full sized. Comparisons to last year’s number of 265 for detached sold and closed homes at this time expresses that industry wide rebound which is still gaining steam. It is our contention that September 2015’s average Days on Market of 54 for single-family homes in Boulder County is more a reflection of inventory levels than consumer demand factors. Days on Market will no doubt increase as we come into the Fall and Winter seasons, as we already are receiving reports of slowing showing schedules. Median sale prices in September 2015 of $385,000 for both attached and detached were up from 2014, while Active Listings available of 507 reflect a 2.2 month inventory supply. Out of the 7.3 billion people on the planet, there are 75.3 million consumers identified as millennials. Of those 93% of them declare they want to own their own full sized home one day. That’s good news, as sales numbers are slightly down overall in spite of national economic growth being up 3.7%. But are the low numbers due to homes not selling? Or is it due to the low number of homes available on the market to be purchased? While home prices have risen, home owners’ resistance to selling indicates they haven’t yet risen enough to inspire a rush to market. Hopefully, as those home owners begin to trust the rebounding market numbers we will see more homes go up for sale. Those sale prices and market times will provide a much clearer picture of the real estate market. Thankfully, new home builders have begun to see the trend and are responding, but that new home market is still lagging in relation to the demand for more housing. Mortgage rates remain virtually unchanged as the Fed has held interest rates, however, all indications are that those hinted at increases will be implemented at some point in the not too distant future. 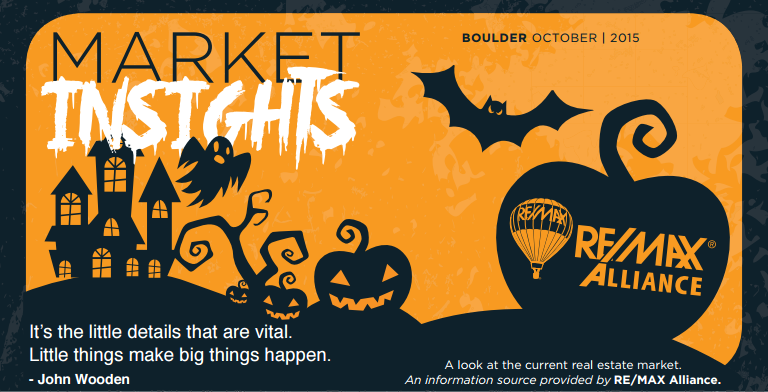 All in all this is NOT a scary real estate market for buyers or for sellers!